Heidi Demars is the Founder and Director of Training of Mindful You - Mindful Me. She is a 2013 Bush Leadership Fellow, TEDx speaker, CNP (Certified Non-Profit Professional), 200 RYT Children’s Yoga Teacher, and Mindfulness Educator. She was the co-founder and developer of the BisMan Community Food Co-op, a consumer-owned cooperative with over 3,500 member-owners. She has raised over $1.5 million for Sustainable Ag projects over the past 4 years and served on the Organic Advisory Board for the ND Department of Ag. She currently serves as a board member for Prairie Public Broadcasting. Heidi has a Bachelor’s of Science degree in Interdisciplinary Studies with a minor in Nonprofit Leadership and a degree in Occupational Therapy. She thrives on working with others to create a greater sense of well-being and community. Her work is rooted in empowering others to be well so they do well. She believes true wellness connects mind, body, and spirit. She began practicing yoga and meditation in 2009 and found a place of inner resourcefulness and true healing. Heidi is sharing that gift with others by teaching yoga+mindfulness to create more resilient, inclusive, empathetic, and compassionate people and places. When children, educators, and parents have the tools necessary to become more present and conscious of their feelings, choices and actions, they can begin to completely alter their relationships to others and the world around them for the better. I began my journey working with children when I moved to Anchorage, AK after high school to nanny for a family. I wasn't sure what I wanted "to be" but I knew I wanted to travel, so I packed my bags and booked a one-way ticket. The family I worked for had a beautiful boy named Shawn who had Downs Syndrome. It was love at first site. 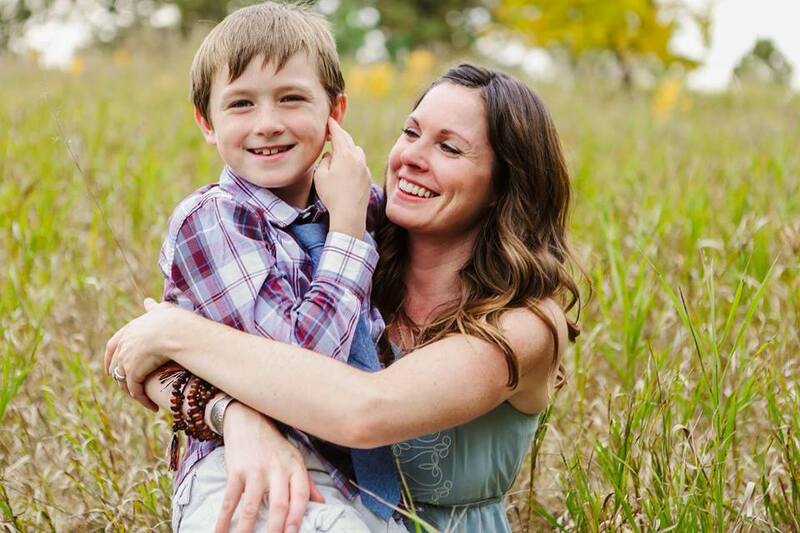 Shawn's mother was deaf so to say communication was a challenge is an understatement. That is when I learned to communicate using the language of love and to truly see people with my heart, and not just with my ears or eyes. In my spare time I would immerse myself in the pristine and majestic beauty of Alaska. I realized that being in nature gave me a deep sense of peace and connection to myself and all living things. This proved to be deeply healing. The time spent with Shawn in Alaska inspired me to go to college to work with children with special needs. When I returned to ND I pursued a degree in Occupational Therapy and worked as a school-based OT for a Special Education Cooperative. Working with kids, teachers, and schools was incredibly rewarding yet very challenging. Many of the kids I would see in OT lacked the social and emotional skills necessary for learning and the teacher were facing growing behaviors in the classroom and experiencing more stress. Stressed kids and stressed teachers? Something had to be done. As an Occupational Therapist , I began to incorporate my personal love for yoga into my work with kids in the schools. In 2013 I started my own yoga business and began teaching private kids classes while deepening my own practice with mindfulness and meditation. Home life was a perfect training ground for this work as I started teaching my two children calming techniques and tools that could help them navigate through difficult feelings and situations. My children have been my greatest teachers and they are the reason this work is being brought into the world. My training is rooted in the secular practice of MBSR (Mindfulness Based Stress Reduction) and I am certified with Mindful Schools, Little Flower Yoga, and Flow Yoga. I teach sustainable Hatha Yoga. The world is changing and I'm excited to be on the transition team. I believe that the healing power of stillness has the ability to transform the world, especially with children. When we connect deeply with ourselves, we can begin to draw from the insight and wisdom within. Mindfulness practices cultivate a culture that is rooted in empathy, kindness, cooperation, and compassion so we raise the next generation of conscious communicators, empathetic leaders, and thoughtful, resilient, problem solvers. The mindfulness training I provide gives us a path to achieving that.